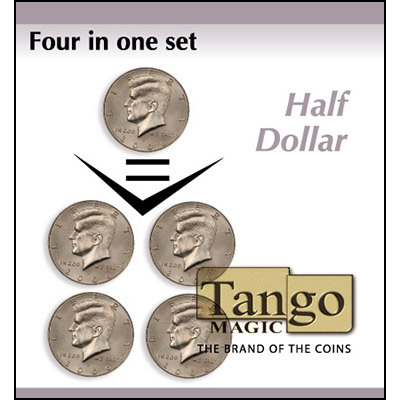 The magician shows four half dollar coins in his hand. He takes a coin and puts it in his pocket and then makes the coin re-appear back in his hand with the other three coins! He repeats this once again ... making the coin appear back in his hand. Finally, he shows four coins in his hand, takes a coin and puts in his pocket. He opens his hand to show that all four coins have vanished!